A big yes for gift cards, my personal favorites being a bookstore or Starbucks. Another terrific option is to order a gift card for Teachers Pay Teachers, where your child’s teacher can purchase high quality teaching resources created by other teachers. Also nice is a card with a personal note about what you appreciate about your child’s teacher. I still have a few from years back. Please skip mugs and books with inspirational teaching stories (it isn’t that teachers don’t want to read them so much as that they often don’t have the time). A big yes for anything homemade. 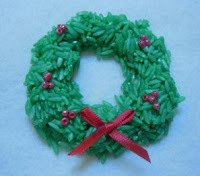 For years my kids made this wreath ornament made from rice for their teachers. Not the most creative project, but they always came out looking great, even when our kids were small. Also nice is a card or note from the child expressing a kind thought. A big yes for Madlibs , if you can afford them. Sometimes you can find a good deal. I love them because they are fun and educational. Small puzzles or Sudoku books are other options, and, of course, you can always find a good deal in the Scholastic Book Club. Art or fun school supplies are other great options. Also nice and great if you are not wanting to spend any money are bookmarks you can make and laminate yourself or free homework passes. 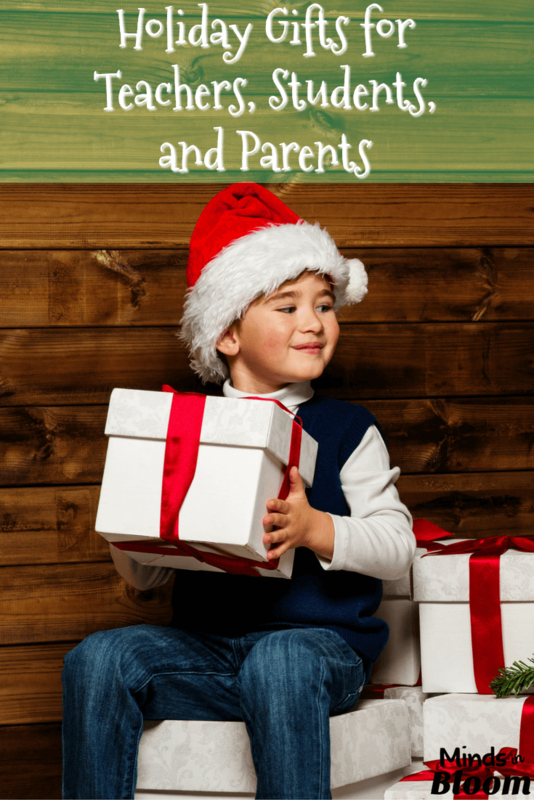 Please skip Christmas ornaments or other Christmas-themed gifts unless you know all of your students celebrate Christmas (see my post on being the lone Jewish kid). A big yes to anything that allows the child to be creative in a personal way. Over the years some of the gifts I have treasured that my kids have made in school have included a calendar with an art project my child completed for each month (I was completely floored by the amount of teacher planning and work that one must have taken to pull that off), homemade picture frames with a really nice ph oto of my child, a hand-painted candle holder, a hand-painted box, anything made and glazed from kiln-fired clay. Also great are cards with original poems or sentiments (not copied from the board). Also nice – the preschool plaster hand print. Nothing original there, but so precious. I am so very glad that I have one for both my kids now that they are teens. Please skip cookie-cutter gifts that could have been made by any child in the class – pine cones spray painted gold, construction paper cutouts, etc. Great list, Rachel! I like your suggestions for students giving their teachers–that little wreath is so cute! And very good point about skipping the Christmas-themed ornaments, etc.. I hate it when people get upset when we say "Happy Holidays" or do things that aren't Christmas (or basically Christian) specific in public schools. And of course the http://www.teacherspayteachers.com gift certificates are an excellent idea! 🙂 Thanks for sharing this! Thanks for the kind words, Tracee!